It is an election like no other. 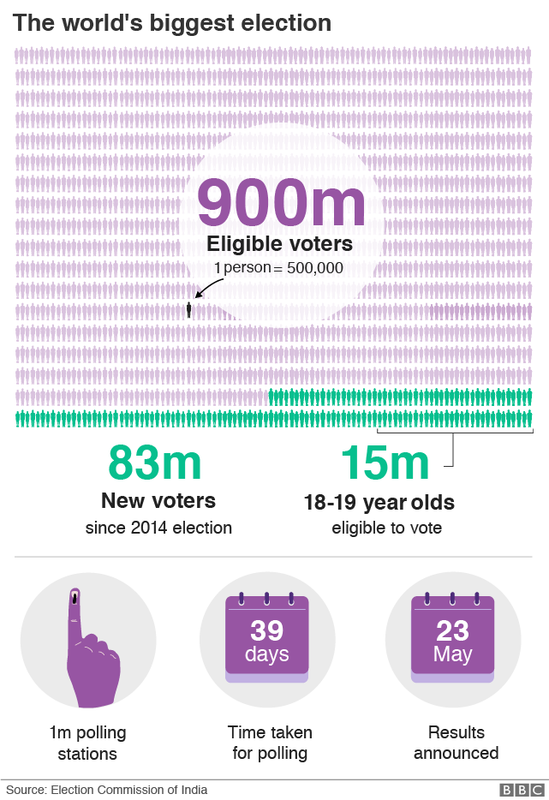 Those eligible to vote in India’s upcoming polls represent more than 10% of the world’s population and they will take part in the largest democratic exercise in history. India held its first elections in 1951-2 after the country gained independence from the UK in 1947. This year there are more than 900 million eligible voters – nearly four times as many as the United States – the next largest democracy. Voters will choose representatives for the Indian parliament, and in turn decide if Hindu nationalist Prime Minister Narendra Modi will run the country for another five years. 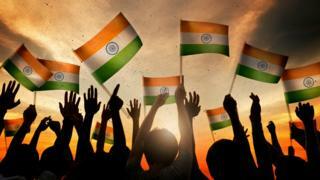 Whoever wins these elections and forms a government will control the destiny of the world's largest democracy. While they are in charge, India’s economy is likely to overtake the UK’s and become the world’s fifth-largest. Narendra Modi was swept to power in 2014 with bold economic promises, but his record in office has been mixed. Economic growth has hovered around 7% a year and some ambitious reforms – like a Goods and Services tax - have been praised. Others, like the sudden withdrawal of large-value banknotes in 2016, are seen as a failure. Its population meanwhile - at more than 1.34bn people - is predicted to soon surpass China’s 1.39bn. The proportion of Indians that live below the international poverty line decreased from 21.6% in 2011 to an estimated 13.4% in 2015, according to the World Bank. Unemployment is a major concern and is especially high among young people. Leaked government data in January revealed that unemployment – at 6.1% - is at the highest it’s been since 1972-73, with nearly one in five 15-29 year-olds unable to find a job. Millions of farmers are angry about low crop prices. Indian agriculture has been blighted by falling crop prices, a depleting water table and drought in the last few years. Regular protests are held and suicides among farmers are common. How the nuclear-armed country engages with the outside world – and manages a tricky relationship with its neighbour Pakistan – is also of immense importance to international security. India and Pakistan have fought three wars since independence from Britain in 1947. They both have nuclear weapons. One of the main points of dispute is the Kashmir region, which both claim in full but control in part. Tensions there recently spilled over, with each side carrying out air strikes. Indians are voting for members of parliament and the job of prime minister tends to go to the leader of the party or coalition with most seats. The current PM is Narendra Modi. 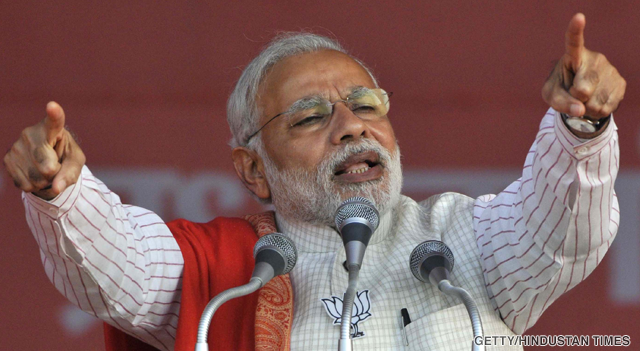 India’s current prime minister has had an extraordinary political journey. Rising from a modest background, he went on to become the three-time chief minister of the western state of Gujarat. The 2014 election victory that propelled him to the national leadership was the most comprehensive since 1984. His main rival is opposition leader Rahul Gandhi. Mr Gandhi is heir to the famous Gandhi-Nehru political dynasty. He took over from his mother, Sonia Gandhi, as Congress Party president in December 2017. Mr Gandhi has long been seen as aloof and a poor campaigner, but that image has been changing in recent times. Parliament has two houses: the Lok Sabha and the Rajya Sabha. Members of India’s upper house are elected by state lawmakers. The president also nominates 12 members for their contribution to the arts, sport or business. 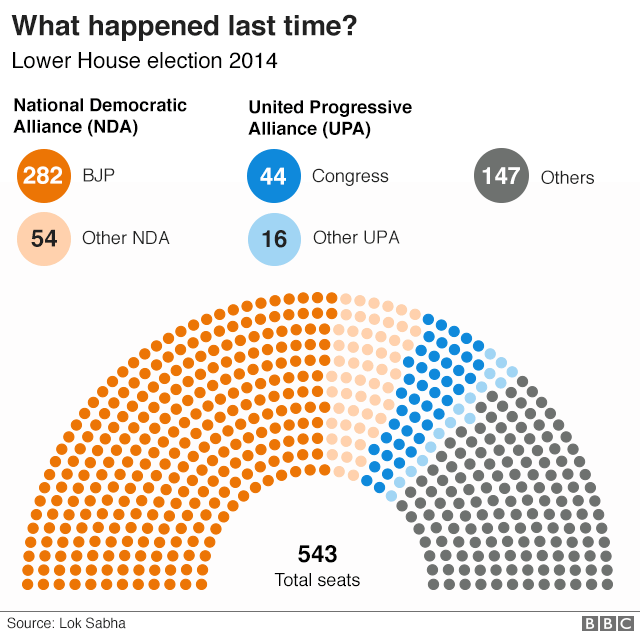 The lower house – Lok Sabha – is the one to watch. Lok Sabha is a Hindi term for ‘House of the people’. Its members are directly elected by voters. It has 543 elected seats and any party or coalition needs a minimum of 272 MPs to form a government. At the last election in 2014, Mr Modi’s BJP won 282 seats. The Bharatiya Janata Party is the largest party in the National Democratic Alliance, a centre-right to right-wing coalition of parties. Mr Gandhi’s Congress Party only took 44 seats in 2014 – down from 206 in 2009. The Indian National Congress or Congress Party is India’s oldest political party. It forms part of the United Progressive Alliance (UPA) - a coalition of centre-left parties. Why does voting take so long? Because of the enormous number of election officials and security personnel involved, voting will take place in seven stages between 11 April and 19 May. Different states will vote at different times. Votes will be counted on 23 May and results are expected on the same day. This election is being seen as a referendum on Mr Modi, a polarising figure adored by many but also accused of stoking divisions between India’s Hindu majority and the country’s 200 million Muslims. About 80% of Indians are Hindu. Muslims make up nearly 15% of the population. Other significant minorities include Christians, Sikhs, Buddhists and Jains. Until a few months ago, Mr Modi and his BJP party were seen as the overwhelming favourites. But the loss of key states in December’s regional elections injected a sense of serious competition into the national vote. 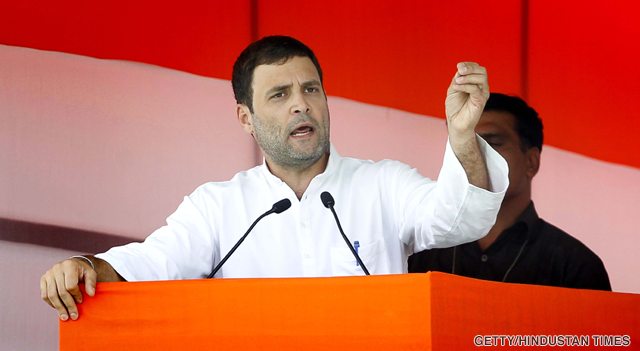 The party lost control of the states of Chhattisgarh, Madhya Pradesh and Rajasthan. These are all part of India’s Hindi-speaking heartland, which helped Mr Modi win in 2014. Analysts are divided on whether Mr Modi will be able to win a simple majority again. A recent escalation of tensions with Pakistan has given the BJP a new and popular issue to campaign on. It will be hoping that a focus on patriotism will help the party to get past the serious challenge mounted by powerful regional parties and Congress. If you cannot see the interactive content above click here. How have India's farmers fared under Modi?